Listen to this track by pub rock heroes Graham Parker & the Rumour. It’s the contemplative “Black Honey” as taken from the band’s 1976 album Heat Treatment , their second LP, and one which is held as one of the most enduring of its kind out of the mid-70s British pub rock scene. Parker was a key figure in British pub rock, inspired by Dr. Feelgood and American soul music, with a splash of Bob Dylan for good measure. His sound takes in all of that, plus later to incorporate reggae and even country music. His band The Rumour were all notable players, and one of the best live acts in the circuit, known for their mastery over a wide range of styles. As such, Parker’s considerable songwriting capacity was given free rein. And this is one of my favourite songs of his, full of soulful contemplation and world weariness. His vocal is a rough instrument, yet infused with emotional connectedness that gives the song real impact. “Black Honey” frames Parker as a songwriter of note, offering something beyond the usual crowd-pleasing fare when it came to his contemporaries, some of which would come into their own during ensuing years (Squeeze, Ian Dury & the Blockheads, Elvis Costello, The Stranglers, and others). Pub rock was the rough British equivalent to the early New York punk scene, yet was not punk in the truest sense of the word. All of the bands prided themselves on a key area that many punks would shun, to wit: an ability to play very well. This aspect of the scene is well exemplified on this track, and on the rest of Parker’s early material. An overt acknowledgment of the debt rock ‘n’ roll has to American roots music, including soul is another marker of the scene. This can certainly be heard on ‘Black Honey’ with the Steve Cropper-esque guitar, the moaning Hammond organ, and even in Parker’s delivery with an almost gospel approach to the phrasing. One of the things that can be viewed as a parallel to punk of course is a back-to-basics approach to performance, a reaction perhaps to the lofty ambitions of progressive rock which came out of the early 70s. This certainly plays to Parker’s strengths, a songwriter looking to put across songs, rather than a series of chances to impress an audience with instrumental prowess. And yet, with this emphasis, he and the Rumour impress anyway, with a live sound that made them something of the British equivalent to Tom Petty & the Heartbreakers who were enjoying parallel success in America at the time. For the most part, Elvis Costello would steal Parker’s thunder on the world stage, coming out of the same scene and part of a sort of angry young man new wave triumvirate with another writer and performer, Joe Jackson . 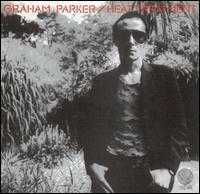 But, Graham Parker would put out solid album after solid album from the mid-70s to the present day, a respected rock craftsman of singular talent and range to be ulimately compared to no one. I’m still mystified as to why 1979’s Squeezing Out Sparks was not massive.